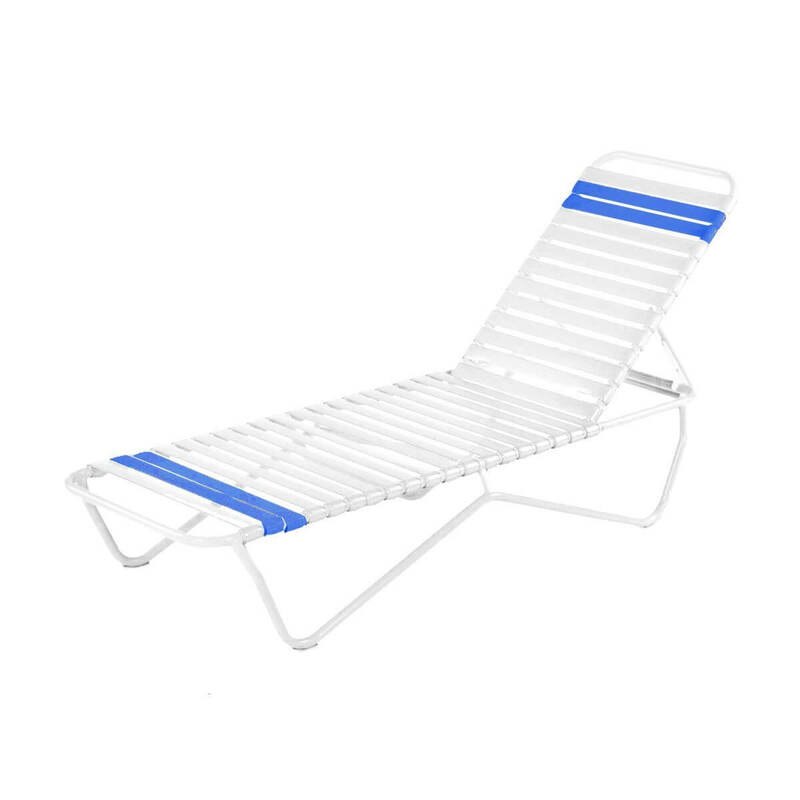 This Quick Ship St. Lucia Chaise Lounge features 2" double wrapped vinyl straps and commercial grade powder coated aluminum frame. Stacks for convenient storage and features a four position adjustment back for comfort. 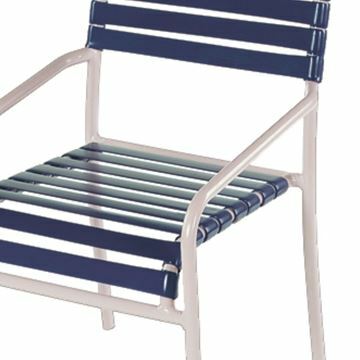 Need commercial grade pool furniture in a rush? 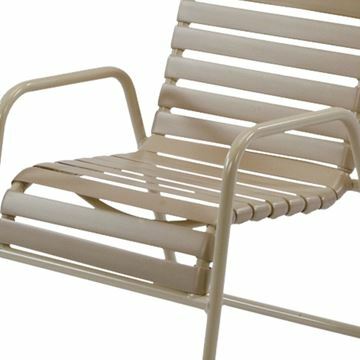 We stock Quick Ship Pool Furniture with white straps on a white frame. 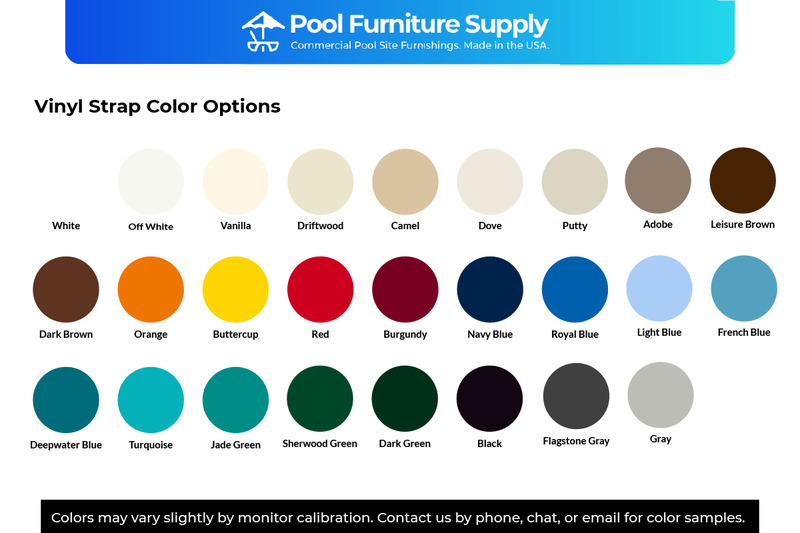 Call our friendly staff to get lead times in custom colors. 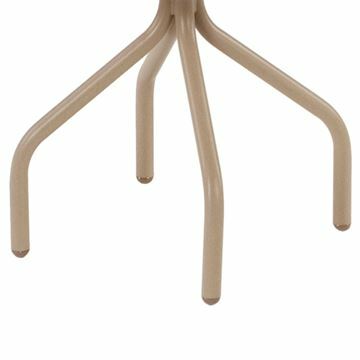 • Quick Ships in 7-10 Business Days.